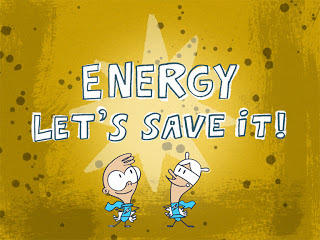 You can save energy dollars by following these simple tips. Many of them are common sense suggestions that require no tools or out of pocket expense. Over time, you will see your energy efficiency increase and your energy savings multiply. Set your thermostat at 78°F in the summer and 68°F in the winter. Each degree cooler or warmer will increase your energy use by 6% to 8%. For instance, setting your thermostat at 72°F in the summer could increase energy use by up to 40%. The same is true if you set your thermostat for higher energy use in the winter. Turn off lights & fans when you leave a room. Fans only make you feel cooler. They do nothing to lower the temperature. Most ceiling fans use less energy than a light bulb. Check air conditioning ducts. If you feel leaks between sections, or where the ducts connect with the air handler, seal them with metal tape and a coating of mastic. Clean or replace air filters. Dirty filters can increase operating costs by 20% because they make your system work harder and run longer than necessary. They also encourage the build up of mold and mildew, making cleaning more difficult. Lower the thermostat on your hot water heater to 120°F or the 'normal' setting when home, and to the lowest setting when away. Water heating accounts for about 13% of home energy costs. Avoid setting your thermostat at a colder setting than normal when you turn on your air conditioner. It will not cool your home any faster and could result in excessive cooling and, therefore, an unnecessary expense. Consider new high efficiency air conditioners and heat pumps. They use up to 40% less electricity than older models for the same amount of running time. During the summer, keep the window coverings closed during the day to prevent solar gain. Close curtains on south and west facing windows during the day, and install awnings on south and west facing windows. Apply sun-control or other reflective films on south facing windows to reduce solar gain. Avoid placing lamps or TV sets near your air conditioning thermostat. The thermostat senses heat from these appliances, which can cause the air conditioner to run longer than necessary. Have your air conditioning unit serviced to cut 15% of cooling costs. Clean your air conditioner's condenser / evaporator coils at the beginning of the season. The fin coils on the outside air conditioner unit can be washed with a hose. Clean coils lower your energy costs, extend the unit’s life and provide cleaner air for you to breathe. Measure the insulation in the attic. Many houses have 4 to 6 inches of insulation. You need about 12 inches. Big-box stores have blowers you can use to spray insulation if you buy from them. Seal cracks, gaps, leaks with spray-in expandable foam. Let your dishes air dry instead of using your dishwasher's drying cycle. If you don't have an automatic air dry switch, turn off the control knob after the final rinse and prop the door open slightly so the dishes will dry faster. Wash your clothes in cold water using cold-water detergents whenever possible. About 90% of the energy used in a clothes washer goes to water heating, and using cold water can save up to 50 cents per load. Don't keep your refrigerator or freezer too cold. Recommended temperatures are 37°F to 40°F for the fresh food compartment of the refrigerator and 5°F for the freezer section. To check refrigerator temperature, place an appliance thermometer in a glass of water in the center of the refrigerator. Read it after 24 hours. To check the freezer temperature, place a thermometer between frozen packages. Read it after 24 hours. Regularly defrost manual defrost refrigerators and freezers. Frost build up decreases the energy efficiency of the unit. Don't allow frost to build up more than one-quarter of an inch. Dust the refrigerator coils – this helps refrigerators run more efficiently. Make sure your refrigerator door seals are air tight. Test them by closing the door over a piece of paper or a dollar bill so it is half in and half out of the refrigerator. If you can pull the paper or bill out easily, the latch may need adjustment, the seal may need replacing, or you might consider buying a new unit. Be sure to place the faucet lever on the kitchen sink in the cold position when using small amounts of water. Placing the lever in the hot position uses energy to heat the water even though it may never reach the faucet. Wash and dry full loads. If you are washing a small load, use the appropriate water level setting. Dry towels and heavier cottons in a separate load from lighter weight clothes. Don't over dry your clothes. If your machine has a moisture sensor, use it. Use the cool down cycle to allow the clothes to finish drying with the residual heat in the dryer. Consider air drying clothes on clothes lines or drying racks. Turn off your computer and monitor when not in use. Turn off your computer every night. Many people believe that equipment lasts longer if it is never turned off. This incorrect perception carries over from the days of older mainframe computers. Plug home electronics, such as TVs, DVD players, VCRs, battery charges, printers, into power strips. Turn the power strips off when the equipment is not in use (TVs and DVDs in standby mode still use several watts of power). Taken together, these small items can use as much power as your refrigerator. When not using your laptop's AC adapter, be sure to unplug it from the electrical outlet, rather than from the laptop. When plugged into the wall outlet, the transformer in the AC adapter draws power continuously, even when the laptop is not plugged into the adapter. Use your computer's power saving settings, including automatic monitor shut off and 'sleep' mode when not in use, to make sure energy is saved. Use compact fluorescent light bulbs (CFLs) to save 75% off lighting costs. Really appreciate this post and we need to have more of such posts inorder to bring about awareness regarding energy saving. All the tips look very useful and will definitely apply these.